The new signature name of Hospitality House's annual live and silent art auction. Special thanks to the Z-Team listed below. 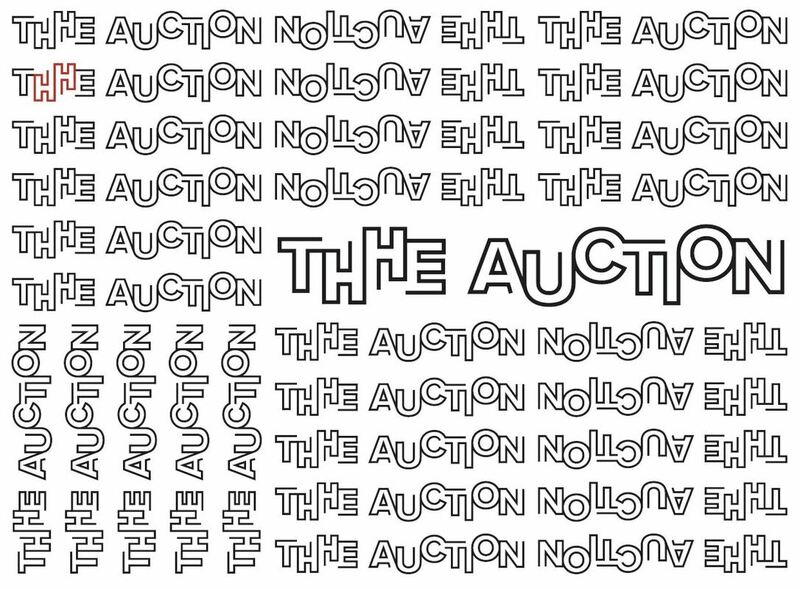 We invite you to join us for an evening of arts, food, and community celebration on Thursday, May 9, 2019, 6PM - 9PM, at “ THHE AUCTION ” - the new signature name of Hospitality House’s Annual Art Auction. Along with our new name comes an exciting new venue: the spectacular Midway at 900 Marin Street in San Francisco’s Dogpatch neighborhood. This year, hundreds of supporters and arts enthusiasts will help us celebrate the 50th Year of the Community Arts Program - a half-century of arts, community building, and social change. Advance tickets will be available on our dedicated website soon! For the past 34 years, Hospitality House art auction has brought together the local community, gallery professionals, art enthusiast & collectors, non-profit organizations and local businesses to support our neighborhood artists whose artwork hang side-by-side with nationally renown artists. This annual community gathering will feature a stunning collection of artwork from local and regional artists, galleries, and collectors. Past year’s artists include Clare Rojas, Barry McGee, Chad Hasegawa, Jennifer Starkweather, Silvia Poloto, Kirsten Stolle, Tim Yankosky, Charles Blackwell, Kelly DeFayette, Jo Jackson, Sylvester “Slick” Guard, Patrick Dintino, Enrique Chagoya, Jenny Balisle, Tom Bolles, Eclair Bandersnatch, Kelly Tunstall, Piero Spadaro, Vanessa Marsh, Leslie Morgan, E. Lewis Basher, Ronnie Goodman, Barbara Kronlins, Leslie Lowinger, Jonathan Parker, Txutxo Perez, Daniel Phil, Emma Fenton-Miller, Kara Maria, Janet Seifert, Faris Plock, Gala Sadurni, Lucky Rapp, Rab Terry, Jennifer Wofford, Carol Aust, John Belingheri, Catherine Wagner, Janet Williams, David Arbuckle, Alice Shaw, Alanna Zrimsek, Suhas Bhujbal, Sung Eun Kim, Greg Chadwick, Johanna Baruch, Juan Bonilla, Donald Bradford, Michael Covington, Eric Dyer, Ferdinanda Florence, Billy Crawford, Gwen Manfrin, Reuben Rude, Ira Watkins and so many others. If you are an artists interested in submitting artwork for consideration, complete our online Artist Donation Form here. Please read the instructions carefully for important dates and deadlines. All artwork submitted for consideration will go through a jury selection process. Our Community Arts Program turns 50! 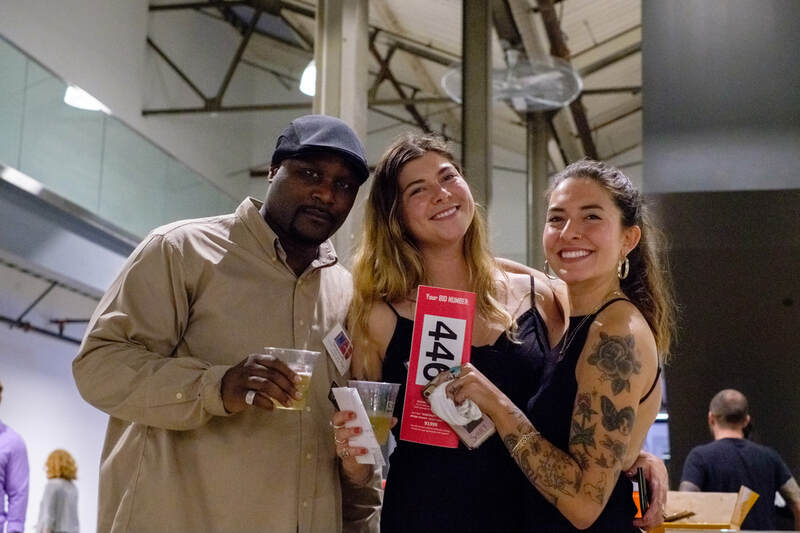 With your support, our annual live & silent art auction raises crucial funding for Hospitality House’s six programs including our Community Arts Program, the only art studio and gallery available for Tenderloin and South-of-Market neighborhood artists who otherwise do not have access to art materials and resources to learn, create, develop, exhibit, and sell their artwork — all free-of-charge! 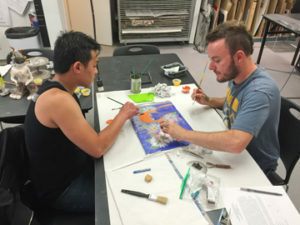 Artists Tan Sirinumas and Billy Crawford collaborate on a piece at Hospitality House’s Community Arts Program studio. A community is more than a group of people living in a specific geographic area. Access to art and culture are the breath of a vibrant community and Hospitality House believes that every resident has a right to have a voice in their community through the creation and celebration of local art. This year, we will be celebrating the 50th anniversary of our Community Arts Program. Join us in marking this significant milestone by becoming a sponsor of THHE AUCTION. Click here to find out more about the benefits of sponsorship.